Lucy Beck-Moreau once had a promising future as a concert pianist. The right people knew her name, her performances were booked months in advance, and her future seemed certain. That was all before she turned fourteen. Now, at sixteen, it's over. A death, and a betrayal, led her to walk away. That leaves her talented ten-year-old brother, Gus, to shoulder the full weight of the Beck-Moreau family expectations. 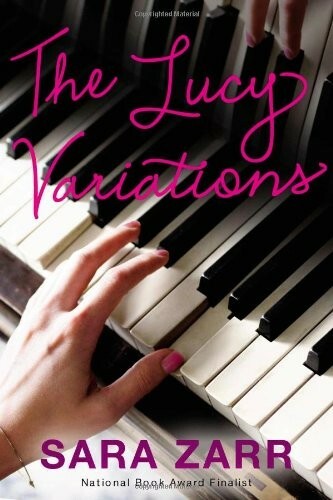 Then Gus gets a new piano teacher who is young, kind, and interested in helping Lucy rekindle her love of piano -- on her own terms. But when you're used to performing for sold-out audiences and world-famous critics, can you ever learn to play just for yourself? National Book Award finalist Sara Zarr takes readers inside one girl's struggle to reclaim her love of music and herself. To find joy again, even when things don't go according to plan. Because life isn't a performance, and everyone deserves the chance to make a few mistakes along the way.